Soybeans are among the oldest crops cultivated by men. According to an article on BBC Good Food, the legume is native to China and has been cultivated for more than 13,000 years. Soybeans are an essential staple in traditional Asian diets, especially in China, Japan, and Korea. The plant is currently grown in various parts of the world including the U.S., Brazil, Argentina, India, Paraguay, and Canada. The U.S. is currently the world leader in soybean production, growing as much as 83 million metric tons of the legume on 75 million acres of land. Soybeans are notably rich in important nutrients that promote that body’s overall health. An article posted on The World’s Healthiest Foods features a complete list of essential vitamins and minerals found in soybeans. Soybeans are best known for their cardiovascular benefits. The superfoods are an excellent source of healthy, unsaturated fats, and dietary fiber that help lower cholesterol levels and prevents the onset of atherosclerosis, stroke, and heart attack. The linoleic and linolic acids in soybeans are also touted to regulate the body’s smooth muscle function and maintain healthy blood pressure levels. On the other hand, the rich iron content in soybeans are known to promote red blood cell production and prevent the onset of anemia. Soybeans are also found to suppress appetite and induce healthy weight loss. Aside from this, soybeans are touted to increase the body’s insulin receptors. This in turn prevents the onset of diabetes and effectively manages the condition in those who already have the disease. On the other hand, the superfood’s ample fiber supply is found to promote the body’s peristaltic motions and bulk up stool, which alleviates digestive issues. In addition, the high antioxidant levels in soybeans combat the harmful effects of free radicals, while its rich fiber content is associated with a marked reduction in colorectal and colon cancer risk. Besides this, the notably high protein levels in soybeans are found to improve the body’s overall metabolic health. Additionally, the superfood’s high magnesium levels are noted to promote good sleep and improve the nervous system’s overall health. Moreover, the superfood is incredibly high in essential minerals — including calcium, magnesium, copper, selenium and zinc — that fortify the bones and prevent the onset of osteoporosis. Furthermore, soybeans are known to support the female reproductive system. The high isoflavone content in soybeans is found to coax the female body into thinking that it does not suffer a dramatic loss of estrogen during menopause. This in turn reduces the symptoms of menopause such as mood swings, hot flashes and hunger pangs. On the other hand, soybeans are an excellent source of folates and B vitamins that helps fend off birth defects. The superfood is notably beneficial to the digestive, circulatory, and nervous systems. Likewise, soybeans promote bone health and support the female reproductive system. Soybeans can be processed into soy milk, which in turn may serve as a healthier alternative to cow’s milk. Likewise, soybeans can be turned into other food products such as miso, tempeh and tofu. Miso is a fermented soybean paste used in many Asian cuisines, while tempeh is an Indonesian specialty made from processed soybean cakes. On the other hand, tofu is made from coagulated soy milk. A list of other interesting soybean recipes can be seen on Food.NDTV.com. Soybeans prevent cancer, anemia, birth defects, and cardiovascular diseases. 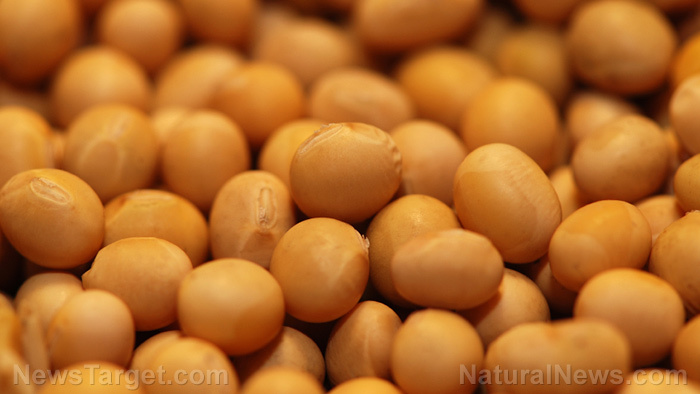 Soybeans fend off diabetes, osteoporosis, and menopause symptoms. Soybeans benefit the digestive, circulatory, and nervous systems.